If you’re looking for an affordable vehicle that won’t drain your wallet on the trip to and from work, then you might want to check out the 2016 Hyundai Accent. This little wonder offers a peppy, efficient engine and drivetrain, plenty of safety features, and a host of creature comforts that drivers and passengers alike will enjoy. Come to Butler Hyundai, located in Medford and serving the Klamath Falls, Grants Pass, and greater Medford Metro areas, and see the 2016 Accent for yourself. Here’s how the 2016 Accent stands up to the Ford Focus. If you're looking for a nice small size car, then you're probably considering the Hyundai Accent or the Ford Focus. The Accent comes with six airbags strategically place to protect you from all angles. Other standard features include Anti-lock braking system, traction control, Electronic Brake-force Distribution, and Vehicle Stability Management System. The Ford Focus has Front and rear airbags, Emergency Braking Assist, Remote Anti-theft alarm, Stability control, traction control and Post-collision safety system. Hyundai has not been a powerhouse among cars but has recently stepped up their game in the car industry. It is safe to bet on Hyundai that the Accent has more safety features as Hyundai pride themselves in reinventing their name. It's all about driver and passenger comfort when it comes to these cars. In the Accent, the head space is 39 Inches, and the Leg space is 43 Inches. In the Ford Focus, the headspace is 38 inches, and the leg room is 33 inches. Once again it is safe to assume that Hyundai wins again. If you're looking for a flashy car that has great gas mileage and reliability, the new2016 Hyundai Accent is the car you want. It comes standard with 137 HP with an Estimated 38MPG Highway. Features include Steering wheel mounted controls, blue tooth capabilities, auxiliary ports, and XM radio. All models are equipped with a 1.6L 4-cylinder.The gas tank is 11.4 gallons. All models come standard with Front-wheel drive (FWD), six-speed manual transmission, and an optional 6-speed automatic transmission with SHIFTRONIC and Active Eco System. The Accent is a combination of taste, class, and having an amazing MPG. 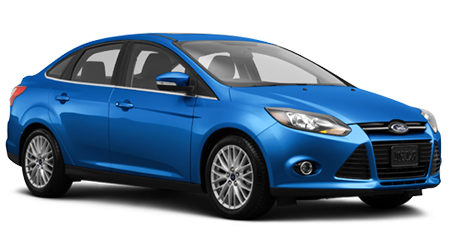 Features of the ford focus include a turbocharged engine, Electric Power-assisted Steering, AdvanceTrac electronic stability control and anti-lock brake system. It seems pretty evident that the winner of this comparison is the Hyundai Accent, so if you're looking for a sleek ride to cruise on the street and the highway, consider the2016 Hyundai Accent. This sleek ride will have your heart pounding as you drive. Driving can be fun if you’re in the right vehicle and Butler Hyundai of Medford, OR is the place to get it! Also serving Klamath Falls and Grants Pass, OR.